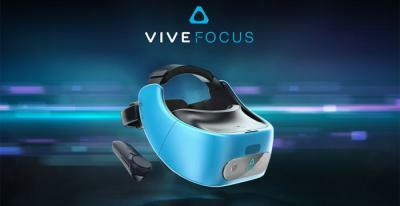 Taiwan-based TrendForce says that HTC is the current leader in VR headsets - with a market share of 61.4% between April 2016 and November 2016, but the Taiwanese company will not be able to extend its lead into 2017 as it will be hit the hardest from the OLED market supply shortage. 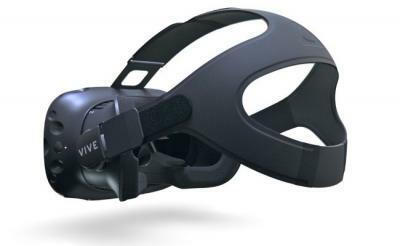 According to TrendForce, in 2017 HTC will ship 600,000 Vive units, while Sony will ship 2.5 million PlayStation VR units and Oculus is expected to ship 1.2 million units. Other brands, all combined, will ship 800,000 units. All of these VR headsets use OLED displays. Towards the end of 2014 China's Everdisplay (EDO) started producing AMOLED displays with an initial capacity of 600,000 5" panels per month, and the company already claims at least one Chinese smartphone maker as a customer. Today Digitimes reports that the company (which they refer to as Hehui Optoelectronics, which is Everdisplay's Chinese name) has signed up HTC and Huawei a customer, with several new AMOLED phones expected later in 2015. Everdisplay's first AMOLED display is a 5" 720p (293 PPI) panel - and it's likely that this will be the panel adopted by HTC and Huawei. On the other hand, EDO is also developing 5.5" and 6" AMOLEDs for mobile phones, so these may end up on the new phones too. Is HTC developing an AMOLED smartwatch? Bloomberg reports that HTC is developing three new wearable devices. The company will demonstrate the first one at the MWC event later this week, but will only show the watch privately to mobile carriers. The first watch will be based on Qualcomm's Toq device - which uses a small touch Mirasol display. 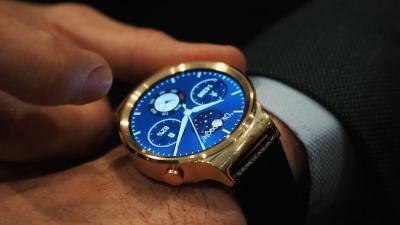 The second watch wil be based on Google's Now service, and this one will use an AMOLED display. The third wearable device will be an electronic bracelet. That's all we currently know. According to Bloomberg the information comes from a person with "direct knowledge of the plans". Back in 2010 Samsung said it cannot meet customer demand in its AMOLED fab. As a result, HTC couldn't produce some phones and had to switch from OLED to LCD in some models. Now HTC says that this was a strategical decision by Samsung which is "using their component supply as a competitive weapon". 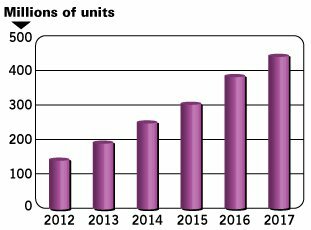 In the meantime Samsung's AMOLED capacity has grown dramatically, and since then HTC returned to AMOLED displays on some phones models. HTC is still buying OLEDS from Samsung, but we know it wants to change a supplier. Back in January it was reported that HTC decided to use AUO's 4.65" OLED panels in their upcoming code-named M7 flagship phone. Yet other reports suggested that AUO still faces production issues and HTC decided to use Sharp-made LCD panels instead. 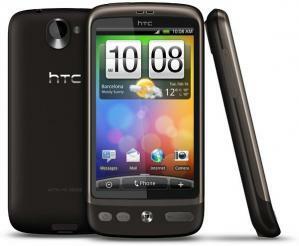 Today HTC unveiled the HTC One phone, and sadly it is indeed using an LCD (4.7" 1080p Super LCD 3, 468 PPI). So it appears that AUO still hasn't started to mass produce AMOLED displays. Digitimes says that it's likely that they wouldn't be able to start real mass production until 2014, which is a real shame. Taiwanese newspaper CENS reports that AUO finally managed to increase its AMOLED yield rate to over 50% (in its 3.5-Gen Linkou, New Taipei City fab). AU Optronics is now set to start mass producing AMOLEDs in Q1 2013, and in fact its entire AMOLED capacity has been booked by HTC. Actually back in September 2012 Digitimes reported that AUO reached 50% yield, but the company didn't start mass production yet. Hopefully this time the report is accurate.